Recently I have been pretty busy. I have been producing our first animated feature film - this would already fill the commitment of a day job! But then we have also been; buying a new office, setting up a new animation school and been generously recognised by 'Creative England 50' and 'Staffordshire Chambers of Commerce'. On top of that we also had world leading VFX companies like 'Industrial Light and Magic' and 'Framestore' visit to help support and educate the children of Stoke and help the growth of our digital sector. So it's been a busy month of May! Today is a day I have been looking forward to for many months. It's a chance to relax, a break from work. I will spend an entire day in a dark room in London and escape to various worlds specially curated by Sundance. This will be my third time at Sundance London and it's becoming a yearly tradition I hope I can keep up. There is an important reason why Sundance London is an essential festival for me - it's because it champions original movies and creative filmmakers. This can be seen when most films that screen at Sundance will not get released in mainstream cinemas and will unlikely see the light of Stoke. Star Wars and Avengers are nowhere to be seen, it's all about filmmakers telling personal stories usually with a very low budget. 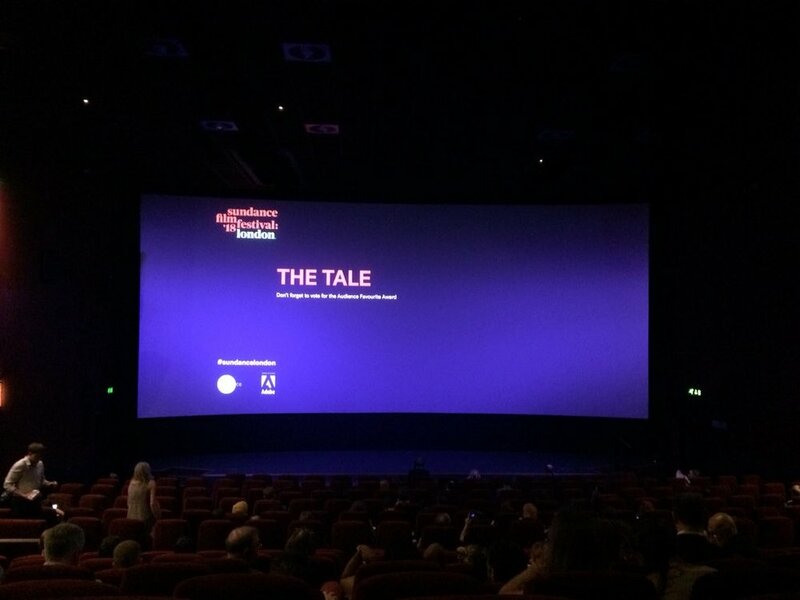 This festival will be launching with Jennifer Fox's film 'The Tale', starring Laura Dern. It looks to be an emotional and thought provoking piece of cinema. The film I am most excited about is 'Hereditary' which stars Toni Collette. The film is being compared to horror classics like 'The Exorcist' and follows a family dealing with the fallout of their grandmother's death and the dark shadow that the grandmother leaves over the family. Many films at Sundance London might not have trailers released yet and may not have had a chance to even promote the film so often you walk into a film blind, unaware what to expect. This can often lead to discovering new films that I might have never have had the chance to watch. Here is a trailer for 'The Greasy Strangler' that I watched at Sundance in 2016, keep an eye out for a familiar face.